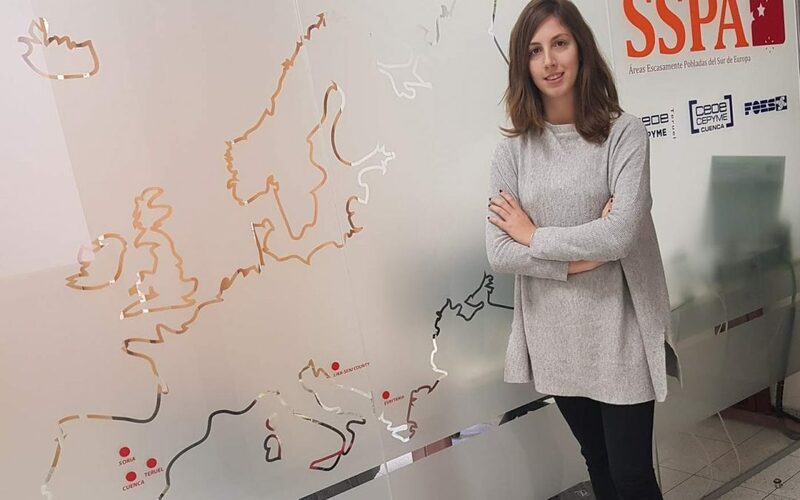 For the Southern Sparsely Populated Areas network (SSPA) “In this year, the fight against depopulation has been strengthened as a main issue on the agendas of the Government of Spain and the European Union” assured Sara Bianchi, the coordinator of this network. SSPA brings together the most sparsely populated territories of the south of the EU (Cuenca, Teruel and Soria in Spain, Euritania in Greece and Licka-Senj in Croatia). “This great problem was not faced util now, there were no concrete data on the inequality of the rural environment lives. There was not an analysis of the situation, and no measures to solve this problem” added Bianchi. The SSPA network works to move forward with firm step and influencing the different administrations to stop ignoring this great problem in Europe. SSPA has analyzed through studies developed the current situation, and has raised a specific strategy based on a model that has been successful in other depopulated areas such as the Scottish Highland and Islands. “We are now looking at where we need to go, creating an effective strategy, implementing fiscal measures, prioritizing that quality Internet access reaches all rural areas, as well as the importance of creating infrastructures and communication channels that provide competitiveness. to companies in rural areas to create employment. In short: stop talking about empty areas and see the depopulation and rural areas as opportunities, focusing the problem on demanding equal opportunities that allow development and future for the people, “says Bianchi. The approaches of the SSPA network have been transmitted in the European Union to look for allies and to make the Institutions aware that this great problem can not be ignored with great pressure, adding support and with the allegations presented to modify the financial framework, that they made available to the whole society to facilitate that other entities could present them. “Work remains: the year 2019 is going to be decisive. In this year Europe will set the policy and aid framework and its national strategy against the demographic challenge. SSPA has a work program aimed at ensuring that this priority materializes in effective resources and measures, which reverse this scourge as has already been achieved in other territories and as must be done here” concludes Bianchi.